We accept Visa, MasterCard, American Express & Discover. This is an SSL Certified site. All check outs are secure. 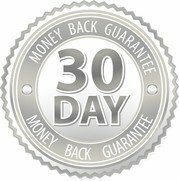 Returns are allowed within 30 days, tags attached and product in original packaging. Be sure to include a note with contact information and if you would like to exchange or return your order. Thank you for shopping with us!